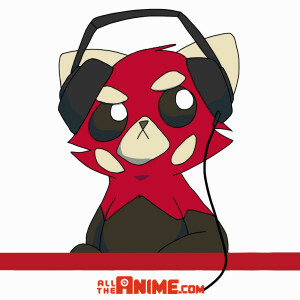 The All The Anime Podcast is back to bring around 50 minutes of fun that includes anime discussion to wrap-up your week! Join Jeremy, Andy and Keith as they talk about a variety of anime they’ve been watching while also having a few moments to make reference to Overwatch, Tekken, XCOM and more! This week anime discussion includes chatter on the Netflix original movie Blame! plus currently airing series Tsuredure Children, Made in Abyss, Princess Principal and following on from our last episode there’s some more brief chatter on Boruto: Naruto Next Generations. Plus Jeremy gives some thoughts on Mobile Suit Gundam ZZ too, ahead of our release Part 1 Blu-ray release in October. This discussion then creates a fair bit of overall Gundam chatter too! We’ll be back next week with our next episode! Enjoy the show! If you guys get Made in Abyss for the UK (CE would be amazing but not required, it stands on it’s own), that’ll probably make my year in terms of anime purchases. As a manga reader, they’d done an incredible job of adapting it, so far. Hopefully it gets another season, too. Welcome to the Ballroom, too. Another brilliant show that has been brilliantly adapted, so far. And again, as a manga reader, it only gets better from where it currently is. I’d LOVE to see that get a release, too. And I can only imagine the Blame! manga will be enjoyed greatly. It’s much better than the movie, given that it can obviously expand on things and whatnot.